The O'Donovan Rossa Society is a cultural organization dedicated to raising awareness of of the history of Irish republicanism in New York City. 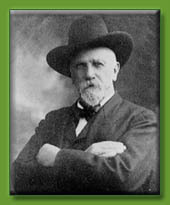 The society is named after Jeremiah O'Donovan Rossa who was born at Rosscarbery, County Cork in 1831. After serving numerous jail sentences for republican activity, O'Donovan Rossa was exiled to the United States in 1871. He settled in New York City and dedicated the remainder of his life to the cause of Irish freedom. He died in Staten Island in 1915. O'Donovan Rossa Society meetings take place the first Wednesday of every month at 8:00 p.m.
To stay informed of the proceedings of the Society, please join our online community. 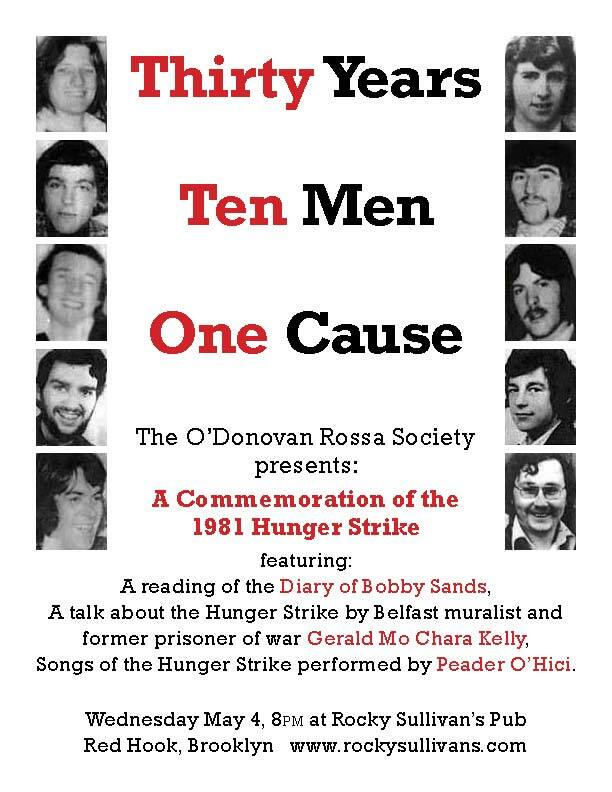 and a talk about the Hunger Strike by Belfast muralist and former prisoner of war Gerald Mo Chara Kelly. We will also hear songs of the Hunger Strike performed by Peader O'Hici.